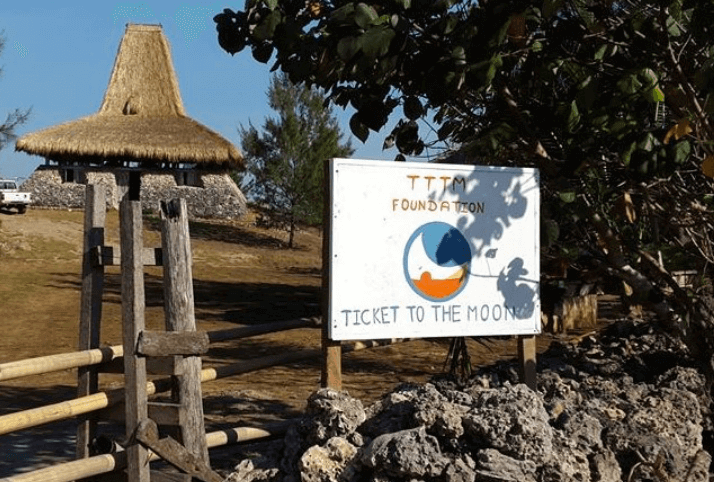 The Lestari Mandorak Foundation, now the Ticket To The Moon foundation, was born after three years of field experience: since 2006, a relief project had been initiated by European and Indonesian travelers in Mandorak County, on the Western part of the remote island of Sumba, in Indonesia. 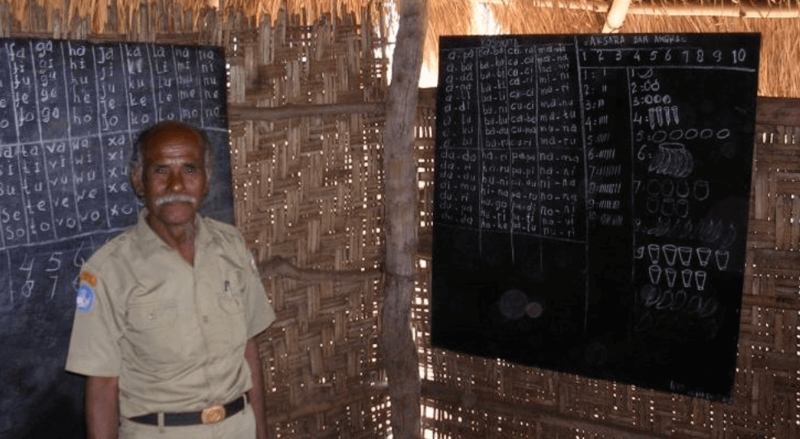 With no access to water or electricity, the Kodi tribe from Mandorak is struggling to survive with subsistence agriculture and fishing, its main income relying on a yearly cashew harvest. 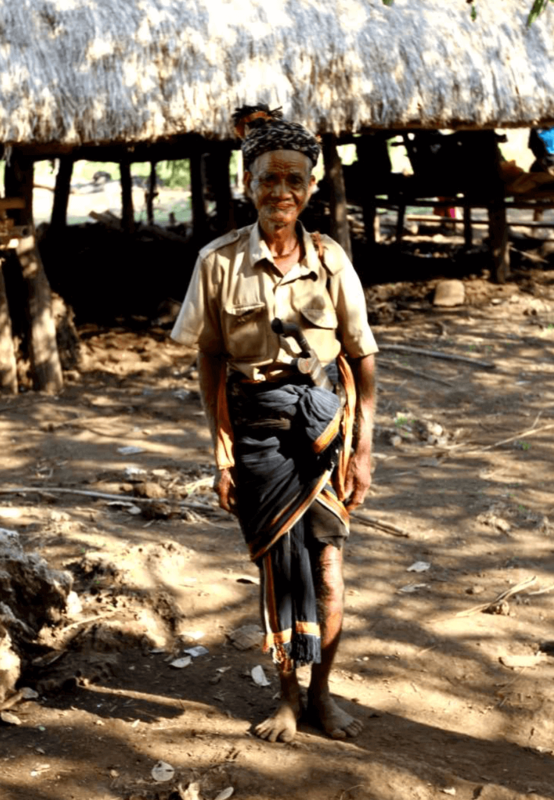 Sensitive to this endemic situation, Ticket To The Moon has teamed up with local partners to help the Kodi people improve their life conditions, meanwhile preserving their ancestral culture. The Kodi tribe has also been subjected to malaria screenings on a regular basis and they were given mosquito nets to fight the plague. 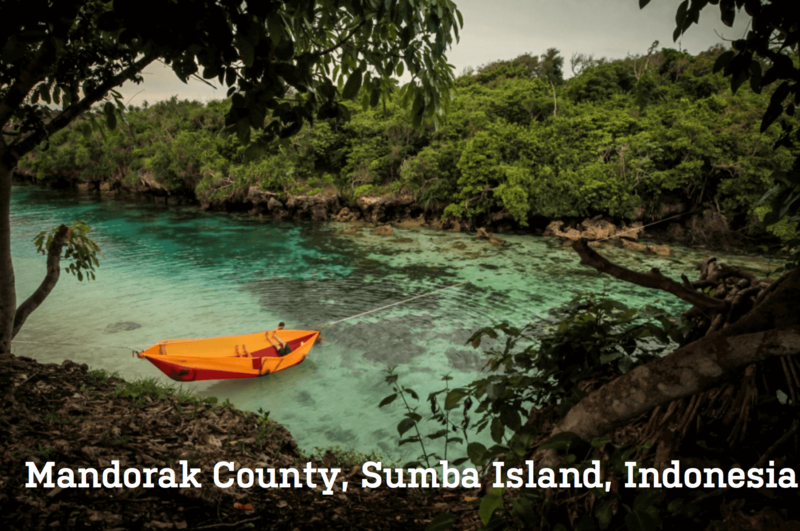 In the meantime, these enhancements have come with education to preserve their culture, along with their original land in West Sumba. They have built a traditional Kodi house as a Headquarters, giving the youngest workers an occasion to be trained following their ancestral traditions (which are threatened by modernity, like their unique crafts, horses game, etc. ); likewise, teaching waste management is a part of ticket to the moon continuous effort to avoid pollution in West Sumba. On the other hand, they have been supporting the existing schools in th Mandorak area. According to anthropologists, the Kodi culture is the closest observed living culture to the Neolithic and Bronze Ages. Burial in megaliths is a practice that has survived to this day in Sumba. The tribe’s techniques to transport and carving stones also goes back to the origins of prehistory. A living testimony of their ancestral culture, the Kodi traditional houses with alang-alang thatched roof stand proudly in the wild landscape of Mandorak County. From the ceiling to the rooftop - not to mention the pillars - every single wood element in a Kodi house has a spiritual meaning reflecting their original animist beliefs. The Kodis’ craft and art forms are unique in the world. The Ticket To The Moon Foundation aims at encouraging and promoting them. The weaving of their traditional IKAT, a wide-spread hand-fashioned famous in India and South-East Asia, is much sought after by museums and collectors all over the world. Likewise, horses are central in the Kodi way of living. Besides being the first transportation mean, horses are key players in the traditional Kodi war games where they challenge each other with spears (the Pasola). 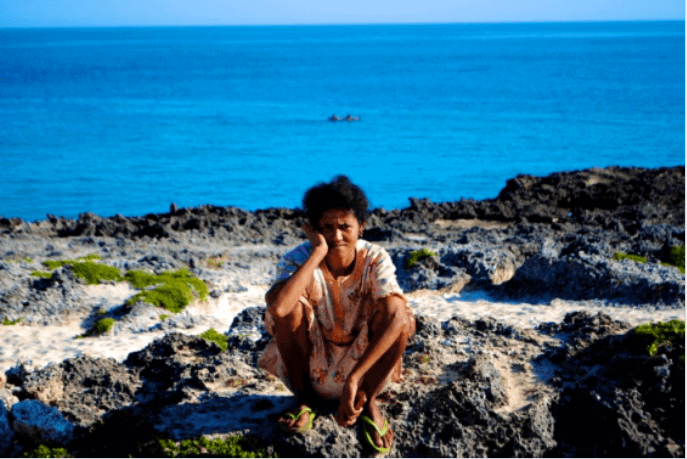 While the Kodi people speak their own dialect, the future of their children is depends on their chance to communicate in Bahasa Indonesia, spoken by 200 million people in Southern Asia (4th spoken language worldwide). 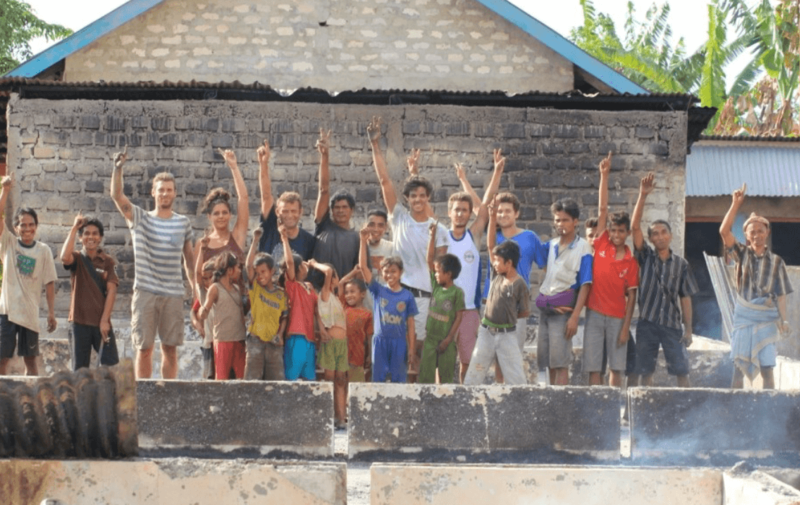 The Ticket To The Moon team has been working on two levels; on the one hand, they opened a primary school in 2007 to allow children from the Mandorak County to be taught both in their language and in Bahasa Indonesia. On the other hand, they have been supporting the existing schools in Mandorak area. 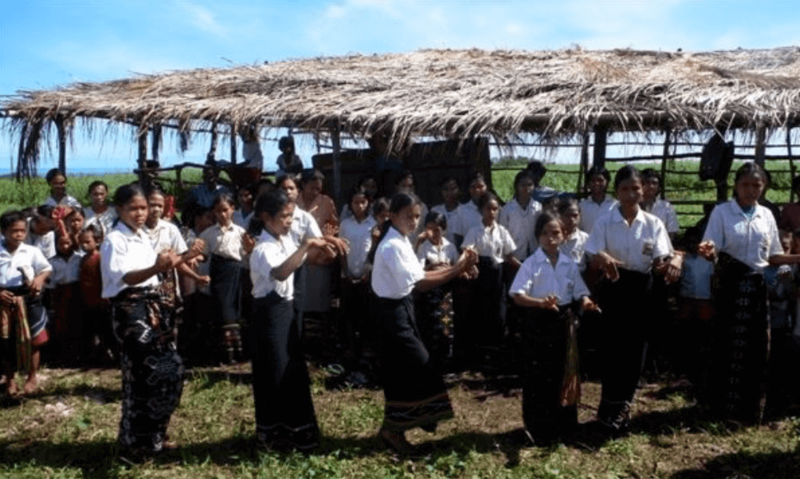 Indeed, the few schools in West Sumba are poorly staffed and furnished, whereas they represent a unique opportunity for the Kodi children to know a better life than their parents. A financial and material support is much needed to improve their facilities and provide the pupils with tuition material (pencils, books, sports equipments, etc.). In 2014 the school burned down; in 2015, the support of Ticket To The Moon Foundation is vital for the kids to go back to school. 2014 FULL TIME PERSON TAKING CARE OF THE TICKET TO THE MOON FOUNDATION, BUILDING A BETTER LIVING FOR THE PEOPLE, RECEIVING ALL DONATIONS AND COORDINATING HELP FROM ABROAD. 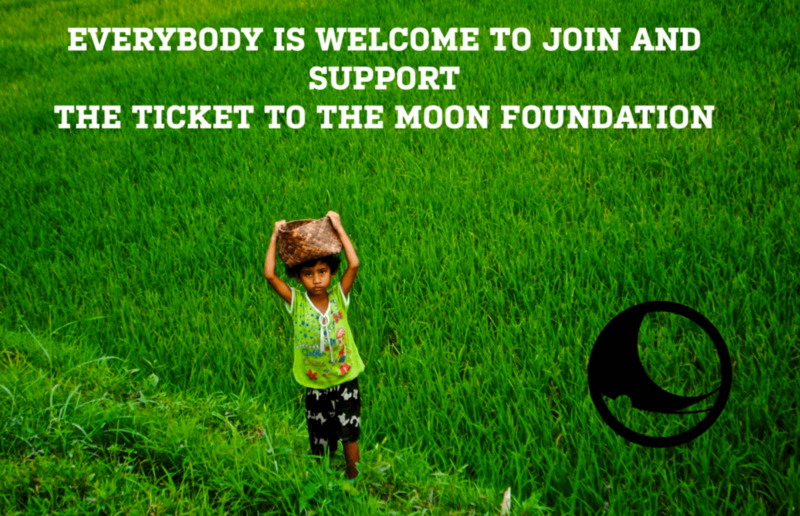 The Ticket to the Moon Foundation’s ambition is to help the Kodi people find economic balance. Mandorak County is likely to welcome a promising type of industry: eco-tourism. The idea is to open the Kodi villages to visitors who would agree to share their daily life, respect their rhythm and natural environment, while enjoying a large choice of activities (snorkeling, hiking, horse-riding, etc). While discovering Mandorak County’s shores, lagoon and landscapes, these eco-friendly tourists will get introduced to the Kodi culture thanks to an organic farm offering local food and traditional Sumbanese meals, let alone organized horse games, tribal music or a visit to the handicraft shop. With new infrastructures such as solar panels, energy would no longer be an issue. Bringing such modern technologies would be a huge step toward helping the Kodi improve their economic situation, while preserving their culture and promoting an eco-friendly development. With the blessing of the Sumbanese officials, The Foundation has bought some land to protect the wild life against possible speculation. The Indonesian authorities have conceded the status of Natural Park to a part of the Foundation’s territory.